A Minnesota river that flows into Lake Superior north of Two Harbors along the North Shore. There are numerous small rapids allowing for boiling water. 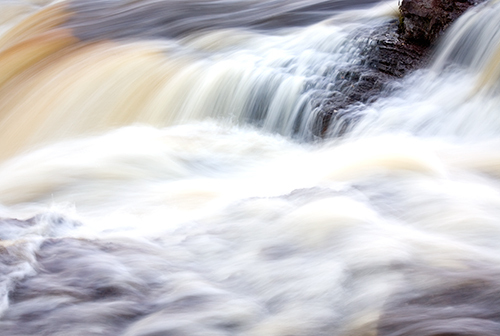 I deliberately shot this with a slow shutter speed to capture the energy of the water and there is just one little area that is in sharp focus.